As those of you who read Supergirl: Rebirth #1 or its review on this site. 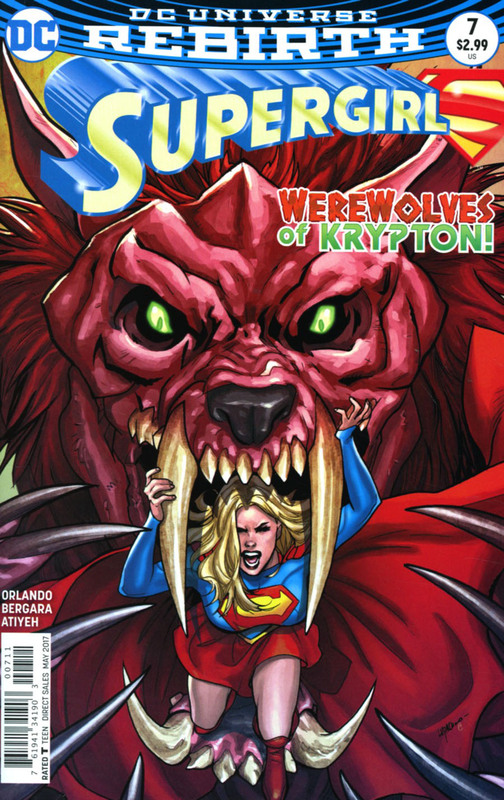 Kryptonian Lar-On turned into a werewolf-like creature and went on a rampage. (Ain't that always the way with werewolves and such beasties?) Kara Zor-El wants to help the D.E.O. discover the cause of his transformations as moonlight is not a direct catalyst. With the aid of Doctor Veritas and advanced technology, Kara's mind is transported into that of Lar-On. What she discovers as she and young Lar are being pursued by a pack of lycanthropes helps her to identify with the former Phantom Zone prisoner. Kara discovers, that like herself, Lor's father tried to tell him who and how he should be, crushing the young man's dreams. However, Supergirl's mental projection of herself helps him realize that he can always have goals and follow them to their fullest. With that, the D.E.O. knows Lar-On's changes are psychological, and they can do whatever they can to help him. Supergirl speaks at a dedication for a memorial for those who lost their lives when Argo City's cyborg Kryptonians. It was made from a piece of the fallen Argo. Kara then flies away to be alone with her thoughts when someone approaches her. Her cousin Kal-El needs to talk to her. What does Superman want, and how will it change Supergirl's life? Story - 5: After a shaky opening story arc, we finally have a story that was a pleasure to read in this book. It mixes the best of Peter David and Paul Jenkins Hulk with a few elements that reminded me of the most memorable Star Trek episodes. I'm hoping we'll see more comics like this for Kara that explore her character and that of those around her. We're flying high with this one folks, and I don't want this book to go back to the way it was for six issues. Art - 3: There are some who have said I've been too hard on the art in this series. I haven't like what has been drawn in previous issues because I feel Bernard Ching's style doesn't work for a DC superhero comic book, and thus, it brings down the quality of the books for me. that said, this issue's images are a bit rough here and there, but they are better than what I've seen in "Reign of the Cyborg Superman". 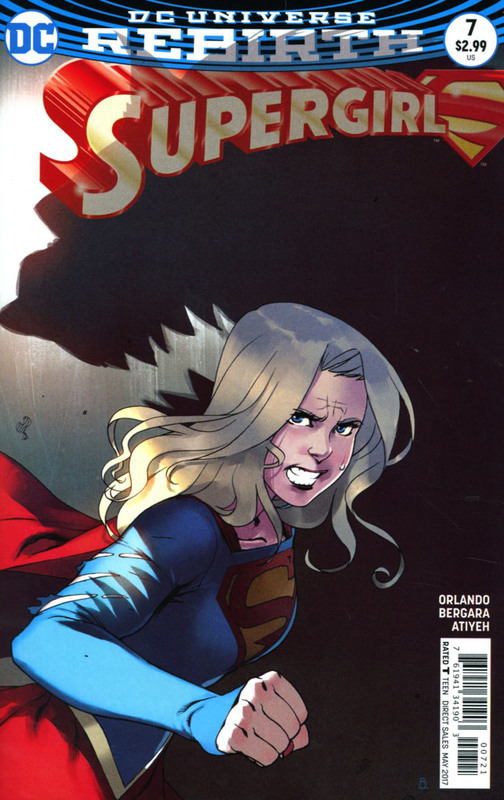 Cover Art - 5: It's good to see Emanuela Lupacchino doing something for Supergirl again, even if it's just a cover image. She channeled her inner Kara for this one. It's awesome.